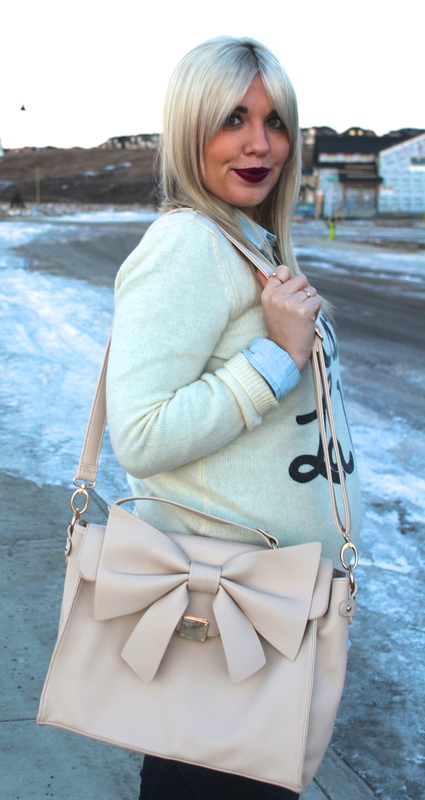 Bows - Lovely Blonde Closet "
When I was doing a little shopping on one of my favourite online stores Shop Ruche, I stumbled across this beautiful, cream bow bag and knew I needed it then and there. 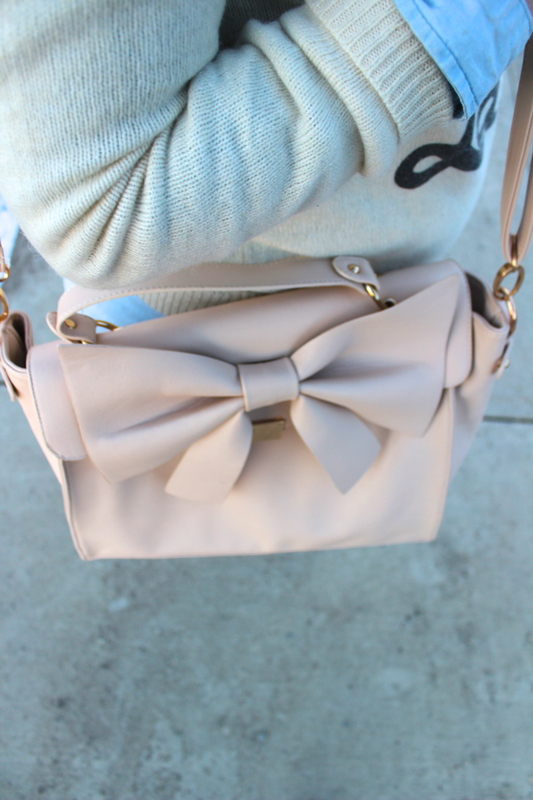 I love the neutral colour for spring and summer, and the enormous, feminine bow across the front sold me. I paired it with my favourite bow boots that my husband so sweetly bought me for Christmas this year. 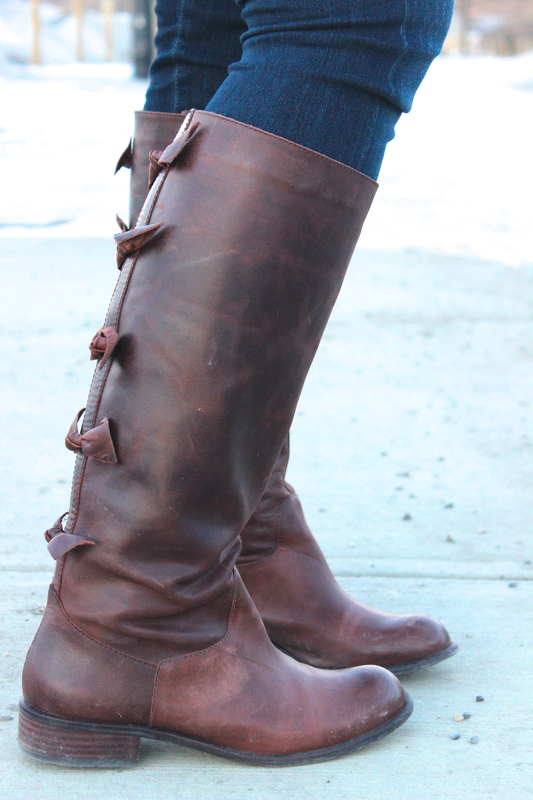 I love these boots for their simplicity all around, and the bow detail up the back. 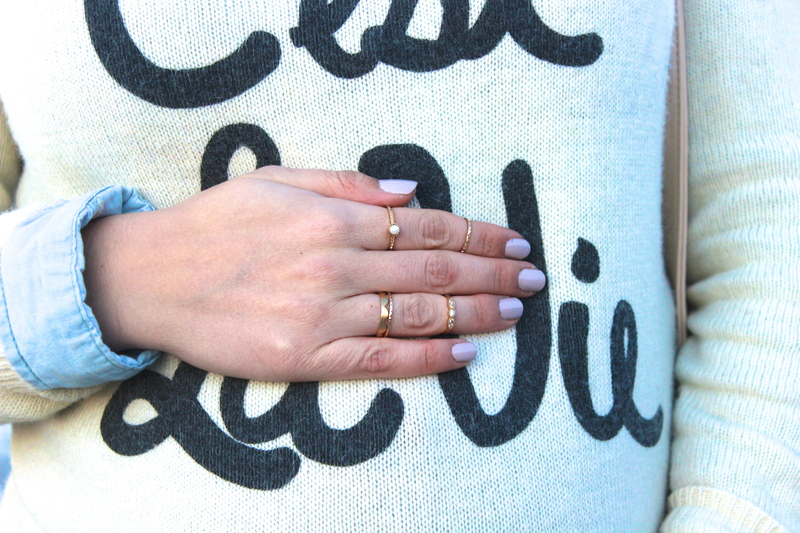 They are so vintage and girly which is sometimes what I feel in the mood for. Between the large bow on my bag, and the tiny ones on my boots, along with the neutral tones of my outfit, I went bold and big with my lip choice. 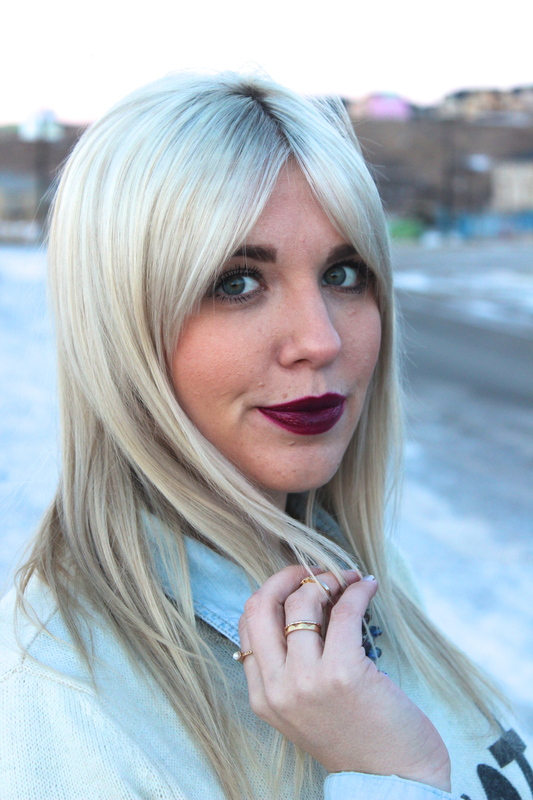 This is a drugstore copycat of the gorgeous MAC “Rebel” lipstick that is trending this season. One of my girlfriends let me in on this secret before I splurged on the MAC one, in all honestly it looks so similar, and works good enough for me! Pinterest often has links of the drugstore copycats for a lot of lipsticks and make-up in general – be sure to keep on the lookout for these if you aren’t in the mood to splurge on the real deal. ps. I created a Facebook page for my blog so for notifications of blog posts, updates and a peek into my every day life, click here to LIKE & follow along, and here to follow my Instagram!